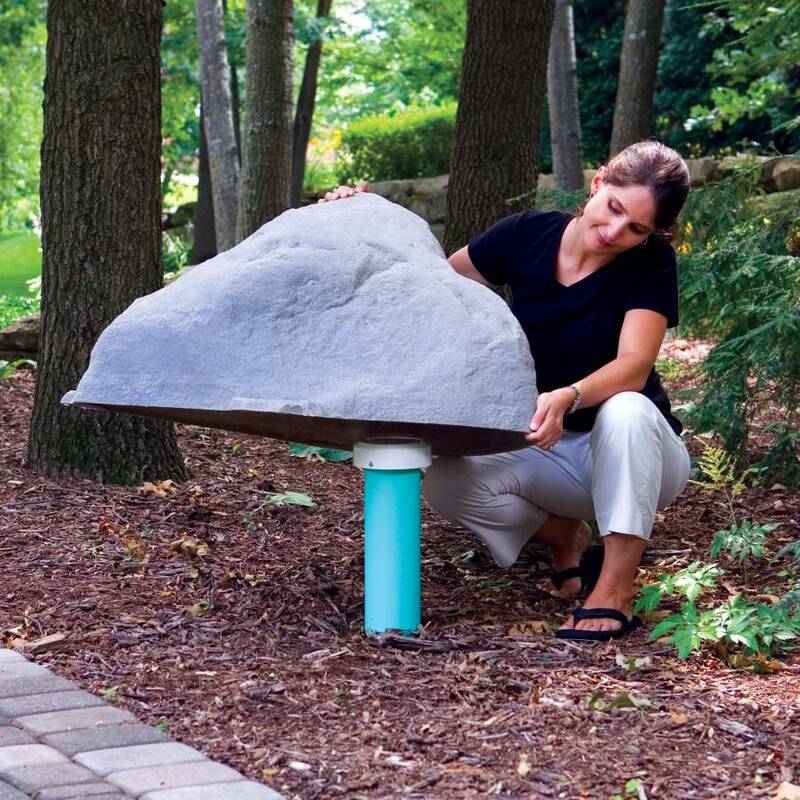 Made in the USA, this fake rock from DekoRRa products measures 31 inches long x 26 inches wide x 21 inches high and is designed to hide septic cleanouts up to 18 inches tall or small pump systems. All rocks come with ASSE certification if requested and are constructed of recyclable materials. Faux rock enclosures are lightweight and constructed of recyclable materials. Heavy duty ground stakes are included to keep your rock enclosure secure. A 3 inch louvered vent and a 4 inch screen vent are available for use with pump systems. There is also an insulation pouch available in green or tan as an option to protect pipes or other important equipment during the winter. The DekoRRa rock enclosures are available in four colors: Fieldstone/Gray and Riverbed/Brown, Sandstone and Autumn Bluff. When choosing a rock enclosure for an application, note the shape of the rock as well as the application measurements.